In 2018, Vietnam welcomes 15.5 - 15.6 million foreign visitors and caters to 80 million domestic tourists, earning total revenue of VND620 trillion (US$26.6 billion). Vietnam tourism has achieved many important accomplishments in 2018, contributing to enhancing Vietnam’s reputation as a safe destination, friendly and increasingly attractive to international friends. In the more than 30 years since the inception of the open door policy, the number of foreign visitors to Vietnam has been on the rise. In 1994, Vietnam received roughly million foreign holidaymakers and it took 11 years for the number of tourist arrivals to reach 3 million in 2005. From 2005, it only took 5 years for the number of international visitors to Vietnam surpassed the 5-million mark. And from 2010 to now, the number of foreign visitors to Vietnam has grown three times in only 8 years, from 5 million to more than 15 million. In the context of digital technology booming, Vietnamese travel agents are agressively applying smart tourism on mobile devices and digitizing tourism data to save cost and lure more customers. Vietnam’s tourism sector has launched a smart tourism portal - VTV Travel; automatic guide at the Temple of Literature, guiding application of the Thang Long Imperial Citadel on smartphone; and Hoan Kiem 360-degree website using 360-degree photo technology. For the first time, Vietnam has been awarded the “Top Asia Travel Destination” of World Travel Awards; “Asia's leading golf destination” given by Golf World Travel Awards. In addition, many travel agents, resorts and airlines of Vietnam were also awarded prestigious prizes. However, experts pointed out some challages that the Vietnamese tourism industry needs to address, especially aviation and airport infrastructure. International experts said that it will take Vietnam only seven years to reach 30 million foreign visitors by 2025 and the country should be ready in terms of aviation infrastructure. Currently, major airports in Vietnam are overloaded, but the airport upgrade has a been slow. The 21 airports in the country currently have a combined capacity of serving 75 million passengers per year, equivalent to the capacity of Changi Airport alone of Singapore or KLIA of Malaysia. In addition, the visa policy should also be improved, experts said. Vietnam has only exempted visa for 23 countries and territories. Meanwhile, ASEAN countries, including Singapore, Malaysia, Indonesia and the Philippines all have visa exemption policies for 160 to 169 countries. Prime Minister Nguyen Xuan Phuc has approved a master plan on the application of information technology in promoting tourism from 2018 – 2020, with a vision to 2025. The plan aims to create a digital database of tour guides, travel agents, hotels and lodging providers nationwide. 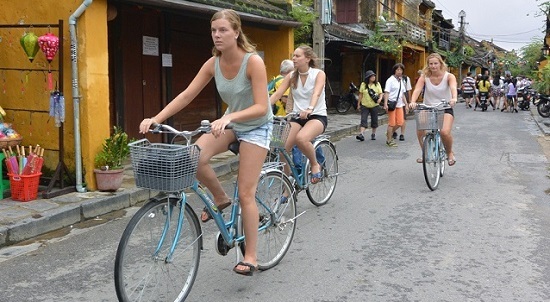 In 2019, Vietnam's tourism industry strives to cater to 103 million tourists, about 18 million of them are foreigners, up 15% compared to 2018; serving about 85 million domestic tourists, a 6% increase with respect to this year.